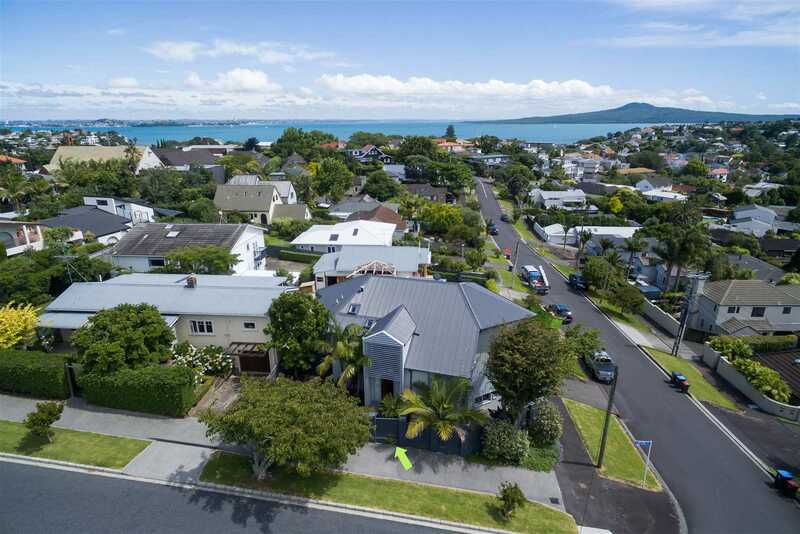 If location is as important to you as finding the right home then here is an opportunity for you to buy into the highly regarded tightly held iconic Auckland suburb of St Heliers. This superbly presented quality home takes full advantage of the elevated commanding position and offers extensive views over the St Heliers valley to the sparkling Waitemata harbour and beyond to Rangitoto. From the moment you step into the welcoming foyer, the combination of the vaulted ceiling and an abundance of natural lighting is totally engaging and will relate to a discerning buyer. This middle level boasts two north facing bedrooms, the second lounge and an office/study all with access to substantial private decking plus a full bathroom that are all beautifully connected through a central atrium area. The lower level comprises generously sized internally accessed double garaging with ample storage including a wine storage area with an impressive wine rack just waiting to accommodate your collection. The upper level is an outstanding example of an Architect appreciating the natural beauty that abounds in this location and then incorporating design elements to maximise this position. An open plan designer kitchen with modern appliances, caesar stone bench tops and oak veneer cabinetry has been designed with functionality a strong influence. A superb deck area that is predominantly north facing presents fabulous views over the valley to the harbour and beyond and is easily accessed from the dining room, main lounge and the master bedroom. The lounge has a Bose speaker system connected to the LCD TV, and Sky decoder, for those relaxing moments. The master bedroom has dual walk-in wardrobes and a beautifully appointed en suite. This home is clad in vertical cedar weatherboards and as an added feature has an internal Lift that services all three levels of the home which will appeal to the full range of potential buyers from families to retirees alike. This superbly located property is just a short walk from St Heliers Primary, Glendowie College, Eastmed Medical centre, public transport, St Heliers Bay village, with its extensive range of shops and restaurants and the unequalled Eastern Bays beaches and waterfront. I invite you to come and conduct your own personal viewing - you will not be disappointed.